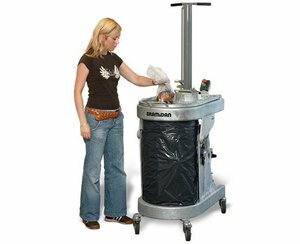 The bag press BP2 compacts waste inside a steel chamber enclosed by a plastic bag, preventing the bag from busting. 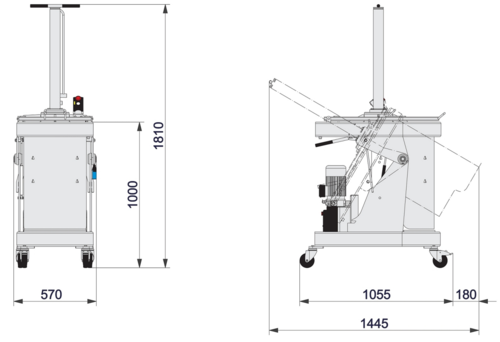 The press is especially suitable for plastic and cans, and for wet waste. 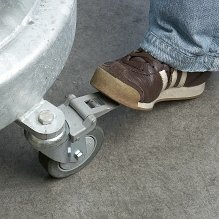 You can easily move the press due to the wheels, which can be locked with a brake. The daily operation is simple and you can quickly change the plastic bag. The surface treatment is hot galvanization, making the bag press resistant in aggressive environments. Compact Design. Low overall height of only 185cm. Long Lasting. Galvanised, resistant surface. 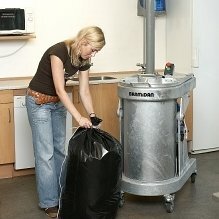 You can easily move the bag press due to its wheels, which can be locked with a brake. 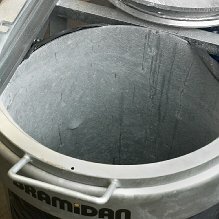 Compression inside a galvanized steel chamber prevents the bags from busting. 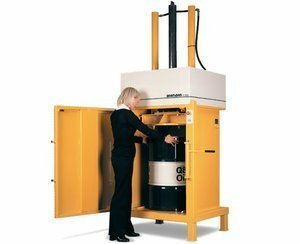 The bag press can be placed in rooms even with low ceiling height.